Let’s be honest, nobody really wants to take a baby out to dinner. Nobody wants to worry about an unexpected meltdown mid-lunch. But the reality is, traveling with kids means you’ll be doing everything together. And like many other parts of life that have changed since having a baby, I’ve come to accept this as a new way of life. As with anything else, we adapt, adjust, and find a new way to make it work. I like to consider myself to be a bit of a foodie, so when we decided to visit New York City as a family (one of the best places to visit for foodies), I was not about to give up eating out because of a little old baby! Sure, taking a 6 month old out to a nice restaurant is a daunting task, but it can be done! Just as you shouldn’t have to give up travel when you have a baby, you shouldn’t have to give up good food either. With that, there are a few extra steps you should take to plan ahead. 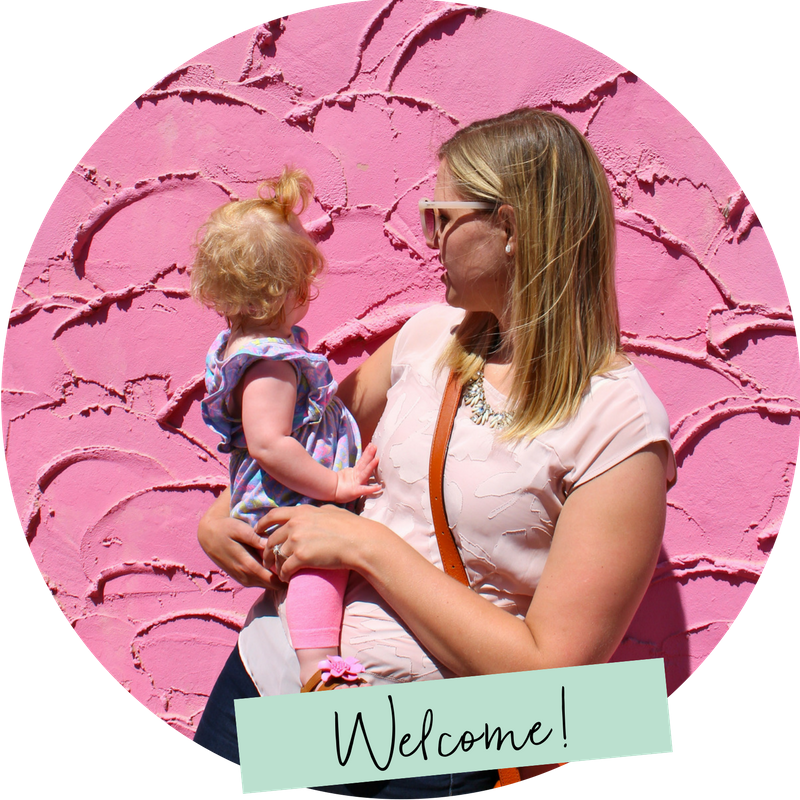 Here are my best tips for getting the most out of the New York City dining scene with a baby! When I was researching kid-friendly dining options in NYC, I spent a lot of time reading message boards like Chowhound for feedback from local foodies. I wasn’t worried about whether the restaurants would allow kids (pretty much any place will, except those with fancy, expensive prix fixe menus), but it’s hard to gauge if a restaurant will have the right atmosphere without ever having been there before. This is where a local’s perspective really comes in handy. I combined that insight with this Bloomberg article’s advice, and adopted their strategy for determining child-friendliness of the places on my wish list. I began calling ahead to ask some basic questions: Do you have high chairs? Do you have space to store a stroller? Do you have a kids’ menu? With those 3 answers alone, along with how friendly of a response you get, you’ll have a pretty good idea if this is a place where you will feel comfortable. I also took a look at the restaurant’s website and menu to gauge how formal it was. Almond, a nice baby and kid-friendly brunch spot with locations in the Flatiron, Tribeca and the Hamptons. For example, when calling Almond in the Flatiron, the hostess insisted “Oh yes, we loooooooove kids; we have lots of families dine with us!” Hearing that directly from the restaurant greatly reduced any anxiety I had, and helped me to feel better about any side eyes we might get from fellow diners (which were zero at Almond). Even at the West Village’s The Little Owl, the staff went out of their way, knowing we had a baby coming with us, to make us as comfortable as possible in their tiny dining room. This seems like common sense and along the same lines as #1, but always make a reservation when possible. I can’t tell you how many times I’ve heard people say “I hate when I have to make a reservation,” and it absolutely baffles me. A guaranteed table at an exact specified time of your choice? This is heaven on earth when it comes to traveling with a child. And don’t assume you shouldn’t make reservations at lunch time (even if not absolutely necessary). The last thing you want to do is show up for lunch and waste an extra 30 minutes of a baby’s patience waiting for a table. Do yourself a favor and guarantee yourself a spot ready for you when you arrive. Equally important when confirming your reservation is to specify exactly how many adults and how many children. I can’t tell you how many times I was asked when making a reservation for 2+baby “So….2 adults and a child? So 3 then? Or 2?” Every restaurant had their own way of interpreting this, so I learned to make all reservations for 3, just in case, and then specifying any child’s needs (high chair, stroller check, etc). Knowing you have a baby coming will help the host(ess) greatly with planning for where to put you. Like at Tom Colicchio’s Craft (above), where we were seated to the back where it was quieter, more private, and had extra space for Evelyn’s car seat to sit on the floor next to our table. Yes, I know they stuck us in the back because they didn’t want a baby disturbing their other diners, but it gave me peace of mind as well knowing we were well-secluded in case Evelyn got fussy. As I said earlier, part of vacationing with a baby includes making sacrifices and adapting. For us, this meant staying in more during the evenings (which we made up for by investing in a nicer place through Airbnb). Eating out more for lunch instead of dinner, we were able to eat at some pretty nice places without the added stress of a worn out, fussy baby. And I didn’t feel like we were at risk of upsetting anyone’s special night out; it was just lunch! Evelyn enjoying herself at ABC Kitchen in the Flatiron. I would never have dared to try dinner service at ABC Kitchen or Gramercy Tavern, but we had amazing lunch time experiences at both! ABC Kitchen was our first stop of the entire trip, and they made us feel so welcome! We were seated at a large table in the back corner, and the dining room was busy and loud enough that you couldn’t even hear Evelyn’s babbling in her seat on the floor between us. It was one of my favorite meals and the service was top notch; I highly recommend! Equally amazing, albeit stressful, was our experience at Gramercy Tavern. We had planned to stop by for a late lunch and wait for a table at the more casual Tavern side of the restaurant which doesn’t take reservations (our one and only time taking this chance, but I really wanted to go). When we got to the Tavern, they told us it would be about a 30 minute wait, and seeing that there was a nice window bench where we could give Evelyn a bottle, this was fine by us. Not even 5 minutes later, the maître d’ came over to let us know they had the perfect table for us in the formal dining room, if we wanted to take it. We nervously accepted. As we made our way through the dining room, I could feel the anxiety growing within me. We passed ladies dressed up for a Christmas luncheon, men in suit jackets, and women all dolled up like this was a night out. We tried to keep Evelyn entertained best we could, but she was just too happy with her now full belly, talking up a storm in the quiet formal dining room. Even still, the table nearest to us didn’t give us a hard time, and I could hear them laughing and joking about the joys of taking a baby to dinner. So while it seems like everyone out there is judging you, just know that many of them have been there too. We dodged any serious meltdowns and enjoyed an amazing meal, but by the end of the lunch I was relieved to get Evelyn out of there before she lost her patience. At 6 months, Evelyn was like a ticking time-bomb in the evening. Even now, by 7 PM, she is usually done for the day. So for our one nice dinner out, we chose the family-friendliest recommendation for fine dining that I had found and booked a table for 5:30 PM, the first reservation of the night. This not only meant Evelyn would be in a better mood, but we’d be in and out before the dinner rush started. To be honest, we were so exhausted at the end of yet another busy day, we didn’t mind the early dinner ourselves. Being attached to the Gramercy Park Hotel, the fantastic Italian restaurant Maialino is used to having lots of families in. Surprisingly enough, this was the only time we ever got a nasty look from another diner. I didn’t notice, but Matt caught an uptight lady whispering to her friend “I don’t want to be seated next to a baaaaaaaby” and then complaining to the hostess that she couldn’t take the table directly behind us because it was “wobbly”. Had I known about her comments at the time, I would have loved to give her an “in your face, my baby didn’t make a single peep the whole time!” remark when we left the restaurant. Moral of the story – learn to take those types of ignorant comments with a grain of salt, and don’t let a judgey person’s misery stop you from getting out there. If you’re not feeling confident enough for a formal dinner, don’t count out more casual stops. That local burger joint or taco shop makes for perfect take out. In our case, this included the original Shake Shack and a wonderful little Italian pasta and cheese shop Lamarca around the corner from our Airbnb. From Postmates to Yelp!’s EAT24 and now UberEats – just about everybody’s getting into the food delivery game these days, so use that to your advantage on your next vacation! You’re no longer restricted to Chinese food and pizza delivery when eating in. One place I really wanted to try in particular while in New York was Momofuku, but the nearest location to our apartment, Momofuku Ssäm Bar, was known to be crowded and not have the most baby-friendly seating. So we decided to place a delivery order online through TryCaviar instead and it worked out perfectly! Within 20 minutes of ordering, we had some delicious steamed pork buns right at our doorstep, which we could enjoy in peace and quiet with a nice bottle of Sauvignon Blanc from Gramercy Wine and Spirits, after Evelyn was fast asleep. We also took one of our nights in as the perfect opportunity to try some real New York Style pizza from Joe’s Pizza in the East Village. Yes, we ate that whole pizza by ourselves. No, I am not ashamed. This is one I constantly have to remind myself of. No matter how much you plan ahead, eating out with little ones will always be more stressful than a nice dinner alone with your spouse. That’s just a fact. But given the choice between bringing the baby or not going at all, I’d choose baby every time. Besides, what’s the worst that could happen? So you’ll have to box up your food and leave early (been there). Sure, it’s not ideal, but isn’t it worth the risk?